What will you choose today? Kindness (inspired by the hit book Wonder! ), Happy (inspired by The Happiness Dare! ), Joy (their best-selling style! ), or Hope (Because, hope!)? 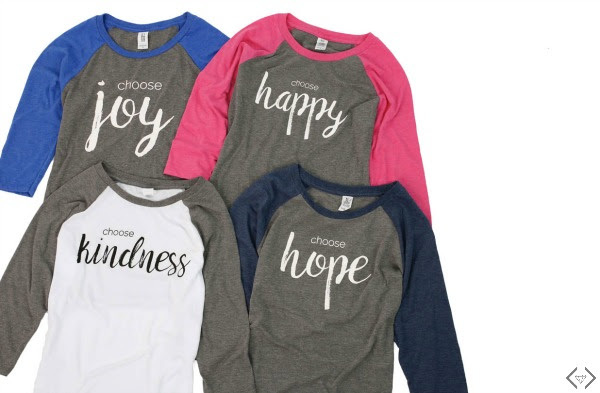 For Bold & Full Wednesday deal this week, Cents of Style is focusing on their Choose Raglans. This is a favorite shirt style (hello boyfriend fit and colorful sleeves). Heading into Fall is the perfect time for the raglan style. Everyone loves it...and we want to know: What will you choose today? 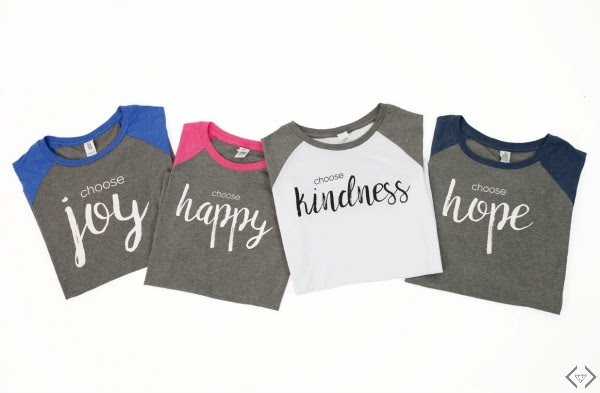 The code is BOLD19 and it will make each tee just $16.95, with FREE Shipping! The code is valid 8/9 through 8/12.